Our review of ten must-see classic British TV series from the 1960s and 1970s concludes with: All Creatures Great and Small; The First Churchills; The Forsyte Saga; and Rumpole of the Bailey. James checks out a new friend. 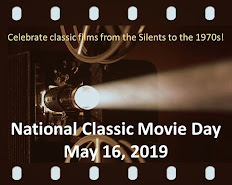 All Creatures Great and Small – James Herriot’s beloved autobiographical stories of life as a veterinarian in rural Britain were first filmed as the movies All Creatures Great and Small (1977) and It Shouldn’t Happen to a Vet (1977). Simon Ward and John Alderton played Herriot, respectively. When a television series was developed in 1978, the role of the inexperienced vet went to Christopher Timothy, with Robert Hardy playing his eccentric employer, Siegfried Farnum. Peter Davison played Siegfried’s brother, Tristan, who struggles to graduate from vet school. Carol Drinkwater played Helen, a local resident who eventually marries James. The first three seasons featured this cast and were based on Herriot’s stories. The episodes ranged from funny (Mrs. Pomfrey and Tricky Woo) to charming (the courtship between James and Helen), with a touch of seriousness (as when Siegfried discusses the impending war with sometime girlfriend Margery). After two “Christmas specials,” the series was revived in 1988 for four more seasons. The wonderful Carol Drinkwater was replaced as Helen and the stories were original (as opposed to those written by Herriot). I stopped watching after the fourth season…but dearly loved the first three seasons. Susan Hampshire and John Neville as a future "power couple." The First Churchills – Unless you’re a history a buff, you’re probably unfamiliar with Winston Churchill’s ancestors. If so, then you’re in for a treat—for John Churchill, the first Duke of Marlborough, and his wife Sarah were a fascinating couple. He was a great military leader and statesman who served five British rulers during the late 17th century and early 18th century. The strong-willed Sarah Churchill was a political strategist in her own right and, for several years, was a key unofficial advisor to Queen Anne. This well-done 12-part series begins with the first meeting between John and Sarah and ends shortly before his death. The early episodes are the best, as the later ones get a bit bogged down in John’s military exploits. Still, The First Churchills is a fascinating look into the political and social culture of Great Britain during one of its most tumultuous periods. 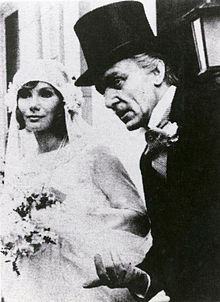 John Neville and Susan Hampshire are marvelous as the Churchills; she evolves Sarah from a headstrong young woman to a powerful, sometimes bitter politician. The First Churchills was shown in Great Britain in 1969 and was the first-ever series shown on Masterpiece Theatre in 1971. The Forsyte Saga – James Galsworthy’s three novels about the Forsytes, a nouveau riche Victorian family, have been adapted for both film and television. Errol Flynn and Greer Garson starred in 1949’s That Forsyte Woman (derived from the first book, A Man of Property) and a popular 2002 adaptation of the trilogy appeared on Masterpiece Theatre. However, the most renowned version remains the 1967 26-episode series starring Eric Porter, Nyree Dawn Porter, Kenneth More, and Susan Hampshire. It included not only the three Forsyte novels, but also Galworthy’s later trilogy A Modern Comedy. When originally broadcast, the series was a huge hit in Britain and was picked up by local PBS stations in the U.S. In fact, its success in America is generally believed to have led to the creation of Masterpiece Theatre. Rumpole of the Bailey – British barrister and author John Mortimer wrote Rumpole of the Bailey as an original play for the BBC anthology series Play for Today in 1975. It was popular enough to warrant discussion of a series, but it wasn’t until 1978 that the Rumpole of the Bailey TV series appeared on Thames Television (and later in the U.S. on Mystery!). Mortimer’s original choice to play the witty, scruffy, late middle-aged barrister was Michael Hordern. Instead, the producers chose Leo McKern—in a stroke of casting genius. McKern perfectly captured the complexities of Rumpole, from his willingness to defend anybody (“I never plead guilty”) to his relationship with his wife (whom Rumpole referred to as “she who must be obeyed”). McKern played Rumpole for seven seasons between 1978 and 1992. If you missed Parts 1 and 2, click here for capsule reviews of Poldark, Upstairs Downstairs, Lord Peter Wimsey, The Pallisers, The Duchess of Duke Street and I, Claudius. Rick, you sure are an Anglophile, aren't you? While I've never watched any of the series featured in this 3-part series, I can appreciate the topics that they represent. Some sound like I would like them, so perhaps I'll watch a few over summer break. Rick, I have really enjoyed your tribute to British TV series! I loved reading James Herriot's works as a young girl and was delighted to see "All Creatures Great and Small," with the wonderful countryside cinematography and unforgettable cast. I was so saddened when Helen's warm portrayal by Carol Drinkwater ended and must echo your sentiments to stick with the first three seasons. I thought John Neville and Susan Hampshire were marvelous in "The First Churchills," featuring a slice of history I knew precious little about. I was very interested to learn how dear a friend Sarah Churchill was to Princess/Queen Anne until Anne made some poor choices in new friends. I have not seen the version of "The Forsyte Saga" you describe but did enjoy the Masterpiece Theatre depiction. As it again features the lovely Susan Hampshire I need to check it out. 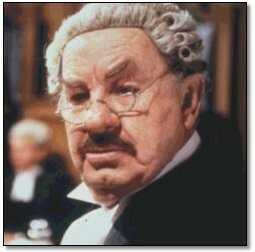 "Rumpole of the Bailey" is indeed an excellent vehicle for Leo McKern. And I was delighted to see you reference Rumpole's clever description of his wife as "She who must be obeyed." What wisdom! You have done an exemplary job sharing about these classics of British televison. What an awesome beginning for the Cafe in 2012! I loved ALL CREATURES GREAT AND SMALL. Lately I've found the episodes on Netflix and have lined them up on my instant queue. It's been a while since I saw them so it will be like watching for the first time. The only episode I remember is one which broke my heart and left me teary-eyed. But I haven't forgotten it to this day. It's the one where the lonely old man commits suicide when his dog dies. NO one sees it coming. For me, it seemed kind of inevitable. So damn sad so very moving. Rick, a very enjoyable series of posts. Some of these series I've never seen a single episode of but plan to soon. I have seen probably all of the "Rumpole" episodes, some fairly recently and love them. The series led me to reading all of the Rumpole stories as well as the rest of the wonderful John Mortimer's work--highly, highly recommended, as well as two other mini-series based on his novels, "Paradise Postponed" (starring Michael Hordern--I was surprised to hear he was the original choice for Rumpole, Leo McKern is so indelibly connected with the character in my mind) and "Summer's Lease" with John Gielgud. Both series have many other wonderful actors familiar to admirers of British television. I have seen some episodes of "All Creatures" years ago and found the 1st season recently at the library and loved it. Yvette, when I saw some episodes years ago, the episode you mention was the one that I recalled most vividly too! Yvette and R.D., I also remember that episode of ALL CREATURES vividly. Very touching and sad. A lighthearted fave is the one where James is a judge for a dog show at the fair and Tricki Woo is a contestant. I love all these shows. Toto, Susan Hampshire was a revelation for me, havIng only seen her in movies which didn't highlight her thespian skills. R.D., thanks for the recommendations...they sound awesome. Kim, I heartily encourage you to check out these shows.